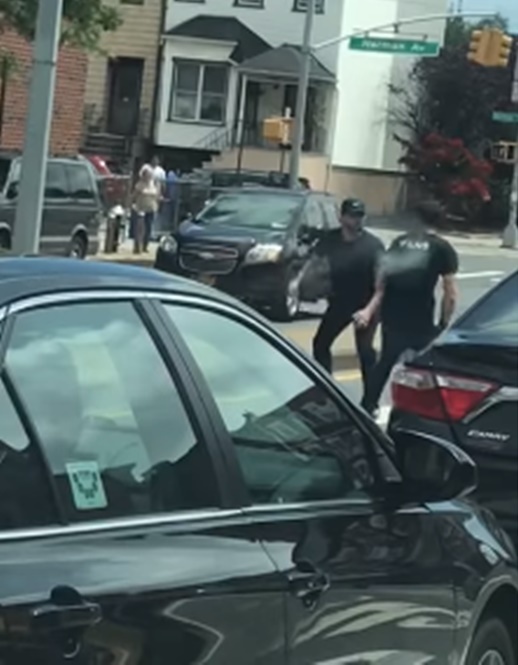 Brooklyn, NY - A Queens man who threatened another motorist with a boxcutter before nearly crushing him between two cars in an incident of road rage has been arrested by the NYPD. Police said that they arrested 46 year old Kevin McClean on Friday, two days after the incident occurred, charging him with attempted murder, robbery, assault, reckless endangerment in the first disagree, menacing in the second degree and leaving scene of an accident with an injury. As previously reported on VIN News, a dispute broke out between McClean and the driver of a Toytota at the intersection of McGuinness Boulevard and Norman Avenue, with McClean attempting to slash his victim with a boxcutter multiple times before stealing his keys and attempting to flee the scene. Video of the incident shows the victim trying to retrieve his keys as McClean attempts to drive away, with McClean sideswiping a van in an attempt to dislodge the victim from his car. The victim, who was sandwiched between the two vehicles, was thrown up in the air before landing on the road, somehow escaping serious injury. The altercation is believed to have been sparked by a fender bender between McClean and his victim. Police said that they could not say if McClean was under the influence of drugs or alcohol when the incident occurred. According to the New York Post, McClean has 16 prior arrests for unknown offenses. 16 arrests? And hes still out on the street. Nice justice system. I take this as a lesson that one can never know who is in the next car....especially since most of them reek like marajuana. Typical liberal system. Revolving door. with guys like that on the road tefilas haderech is mandatory even for a local drive! To #1- Don't be so naive; there was a Jewish couple from NJ (owners of a restaurant), who were leaving the theater in Manhattan some months ago, after celebrating their 10th wedding anniversary. They were attacked by a large hoodlum, who had an arrest record of nearly 40 arrests for assault, robbery, and other sordid offenses. What was that two legged animal with forty arrests doing out on the street, to prey on innocent law abiding civilians? If someone thinks that the streets in NYC are safe, they are delusional!